Any martial artist can get involved. 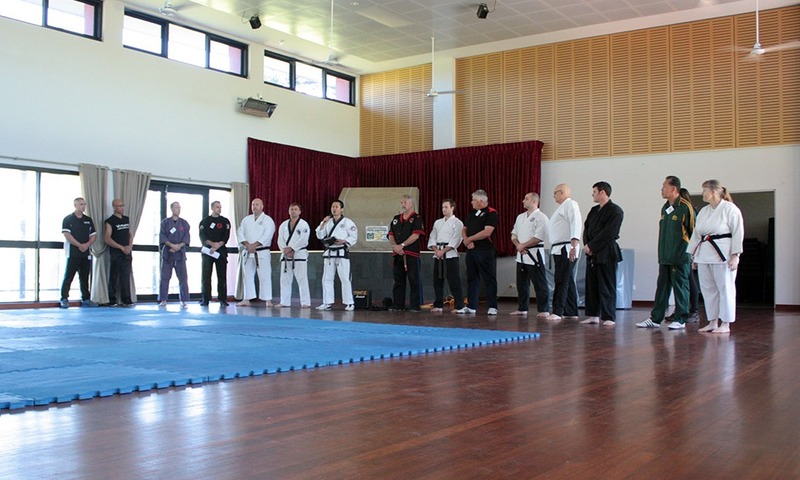 Instructors must allow visiting students from other IAOMAS schools to train at your school FREE for up to two weeks so that yours are offered the same, worldwide. Non-instructors can enjoy the social network from our FaceBook page and group, and keep an ear open for regional IAOMAS events they can participate in. Joining is free – no fees or politics, just real martial artists. IAOMAS is a network of schools worldwide that agree to allow any student FREE training for at least two weeks, should they visit that country (or area). This is a student support network, is ‘NON-POLITICAL’, and is driven by the support of individual school instructors. Should the visiting member be staying in the host region longer, they can negotiate a continuing arrangement with the IAOMAS member instructor. It goes without saying that schools should treat visiting students with respect (no matter what the style). You need to prepare for and allow visiting students and instructors to practice with your school for free for up to two weeks. Visiting members should follow the local school rules/code of conduct at all times. Host instructors and visiting students represent their respective organisations and may cause their schools to become disassociated if they cannot follow rules and guidelines herein! Complaints from visiting students or from Host Instructors should be directed towards the appropriate FaceBook group. After you apply and get accepted, you may choose to integrate some of the IAOMAS member benefits information into your website (if you have one). We recommend that you make an appropriate announcement to your associate instructor and membership body, and encourage participation at our online forum Free for All. To gain the most benefit from our organisation, you might think of planning at least one yearly event with other IAOMAS or non-IAOMAS schools. To prepare for those guests who might visit your training facility, you might like to choose an informal facilitator as appropriate from your student or instructor body. This ensures that your guest(s) understands your training environment and enjoys the experience of cross training with you. For those schools who have students intending to visit other IAOMAS schools worldwide on their travels, an instructor (or the travelling student) may want to drop a courtesy email to the Country Representative or directly to the member at your destination. Visiting members may also wish to bring a small but appropriate gift that may help strengthen this worldwide IAOMAS network. Lastly, the IAOMAS is a volunteer-managed coalition. If you have spare time, or if you have a skill or resource you’d care to share, please contribute a little back to the IAOMAS. A little goes a long way. Good things have a way of coming back to you! Contact your Country Site Owner for more information or get in touch directly with IAOMAS Council Members on the IAOMAS Forum. Now all you’ve got to do is stick the logo on your site and fill in the form! We use LinkedIn Groups to control our member list. Please go to IAOMAS on LinkedIn to apply to be accepted. Previously we used manual webpages and then evolved to hosting directories on our website – both were less than ideal. LinkedIn is a social networking platform designed for professionals, and is an elegant solution to handle the many members who are interested in IAOMAS. When you create your LinkedIn profile, please make sure to display your martial arts qualifications or your martial art school prominently. You can do this either in the Experience or Education section. We also highly encourage you to visit the Free for All forum, and also to drop a message to board members to say hello before you apply to join.